Microsoft’s Windows 10 Version 1809, aka the October Update had been in headlines for quite a number of reasons. The Update had a pretty bumpy launch, although it brought a number of exciting changes. Eventually, after a number of months of fixes, the October Update is now stable. However, Microsoft is still releasing patches for the Update, fixing some old bugs and adding new stuff. The latest addition includes a new feature wherein one can add names to tile folders. As Jen Gentleman, Software Engineer at Microsoft, tweets, with Windows Version 1809 “users can add names to your tile folders“. This is an improvement to the tile folder creation feature they announced a few days back. What that means is that you can drag tiles on top of each other to create folders. 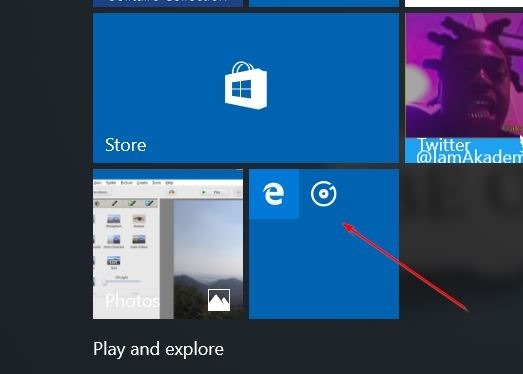 These folders can hold multiple tiles, to better organize the tiles in the Start Menu. The ability to assign names to these tile folders further increases the overall orderly organization the feature offers to the users. Microsoft has actively been working on the October Update ever since its release. Just a couple of days ago, Microsoft released an official statement stating that the “Windows 10, version 1809 has transitioned to broad deployment“. That is, the Update is business ready as well. That being said, the 19H1 Update, aka the April Update is speculated to be around the corner. It seems like Microsoft is fine-tuning the October Update so that it is as stable as possible before dropping the April Update, version 1903.